Is This the End for the Internal Combustion Engine? Is your current insurer getting too expensive? Farmers could save you up to 21% in CA! Get a free car insurance quote. Get a quote in just a few minutes. Drivers could save big by switching. Reach our claims experts 24/7 — located in the U.S.A. The Easiest Way to Compare Real, Accurate Quotes for Free. Save Time and Money. Compare Over 20 Carriers at Once! Compare real-time quotes from hundreds of CA car insurance companies. Find the best rate in seconds. The Zebra makes it easy to find the best deal. Liability, Comprehensive, Collision, And More! Energy. It defines our very existence. Until the emergence of the Industrial Age, human energy use was scarce and relatively inconsequential. We used the radiation from the sun to grow our crops, fed those crops to domesticated animals, and in turn used the muscle power of those animals to sow more crops and perform other chores of manual labor. We heated our homes with whatever could be burned and converted into thermal energy. Much of the explosion of technological progress in the last few hundred years is owed to both the advances in scientific discovery and the sudden abundance of usable energy from fossil fuels. 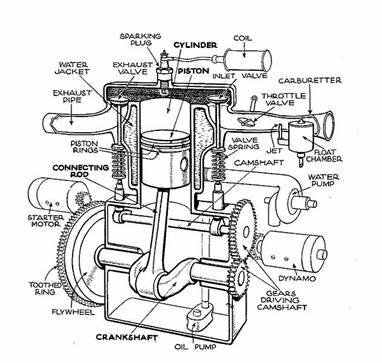 Since before even the time of Henry Ford, the internal combustion engine has been the dominant method of powering automobiles and delivering to us that satisfying rush of forward momentum which gets us from point A to point B. Most people don’t realize, though, that there have always been alternatives available to gas-powered cars. In fact, the first electric “car” (a horseless carriage powered by two crude electromagnets) was built in the 1830’s, predating the first gas-powered car by about 50 years. The problem has never been that there isn’t enough energy in the world. The whole universe is literally made of energy. 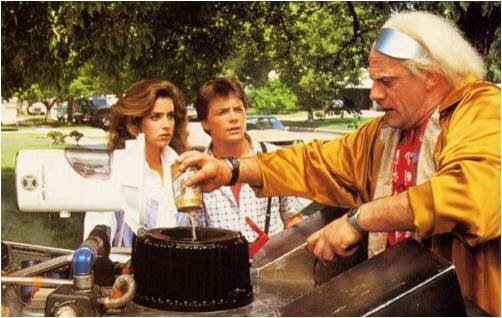 It’s just that we haven’t yet figured out a practical way to house and harness it within a functioning automobile. Gasoline takes millions of years to make, but can be compressed and burnt in an instant to give us cheap and readily-available energy. Though the amount of fossil fuels left in the world may be finite and running out, chemical battery storage technology still can’t come close to the efficiency of gasoline. So while the marvel of the internal combustion engine has served us wonderfully since its inception in the 1880’s, one can’t help wonder what might come next to supplant this convoluted contraption. Many people think of a Rube Goldberg machine as anything that accomplishes something simple in an overly complex manner. 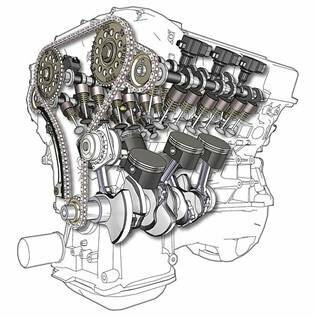 In some ways, this definition very much fits the modern internal combustion engine, which, although constantly improving in its efficiency, has not changed in its basic design and function since its original inception. There are far too many physical and economic factors involved for anyone to say for sure what the next generation of automobiles will look like under the hood (or if future cars will even have hoods), but there are definitely some plausible front-runners in the energy race. Nuclear reactors have been used to generate power on a large scale since 1954 and, despite their popular public image, are relatively clean and safe when used properly. It’s not out of the question that miniature nuclear reactors could one day be housed in personal vehicles to power them. Radiation + Lasers = Forward Momentum? 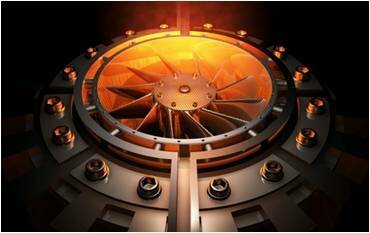 One company is currently developing a new type of engine which when operable will combine the power of lasers with small amounts of a mildly radioactive substance called thorium to generate enough steam to power a car for years. The idea of not having to refuel for a few years certainly sounds like reason enough to give it a shot. In a similar vein, NASA is already using plutonium to get its satellites into orbit and power its rovers (though in fairness, they have a much longer way to go than the average commuter does). Another very likely choice right now is hydrogen, which is already being used in hydrogen fuel cell concept cars around the world. 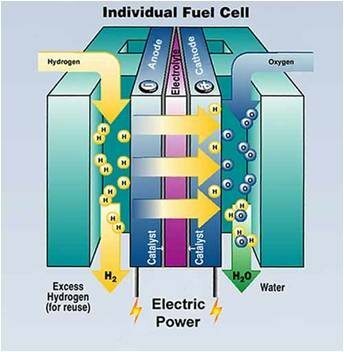 The main obstacle to using hydrogen on a massive scale is the amount of difficulty in extracting pure hydrogen from water through electrolysis. It turns out that storing loose hydrogen gas atoms in a usable form is also surprisingly expensive, too much so for making it available to the average driver. If new breakthroughs in cheaper electrolysis and storage technologies emerge, though, there’s not much to stop hydrogen fuel cells from become the new under-the-hood standard. Whatever the transportation of tomorrow will look like, we know for certain that there is only so much oil in the world. While there are certainly other less effective combustible substitutes, sooner or later the internal combustion engine that we can come to know, love, and owe so much to will eventually go the way of the horse-drawn buggy. When it does, mechanics all over the world will have to throw away their manuals of engine parts. With the way things are going, they will probably have to start working on post-graduate physics degrees instead.